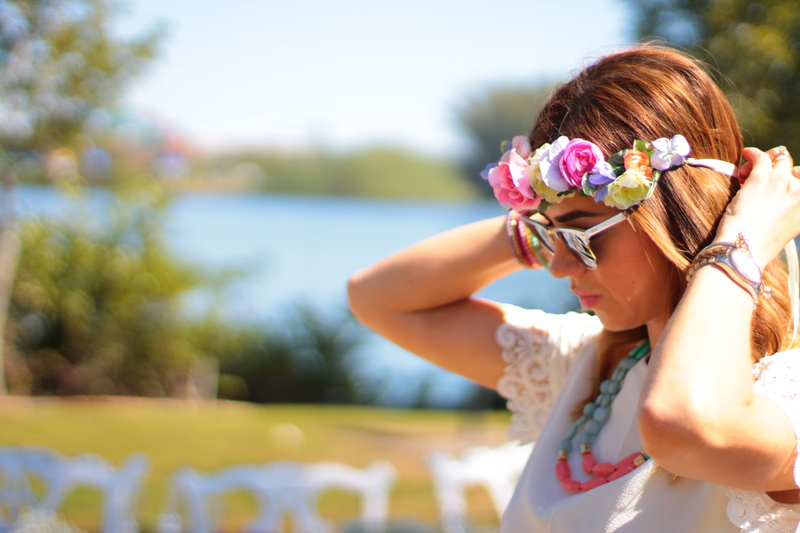 How do fashion bloggers celebrate blog anniversaries? 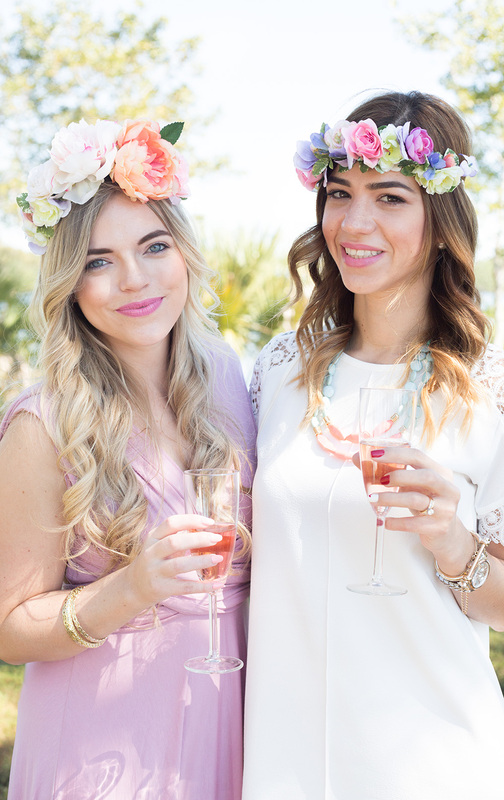 By setting up an adorable gardenesque party, inviting blogger sisters and sitting around and mingling on a long beautiful table filled with roses. 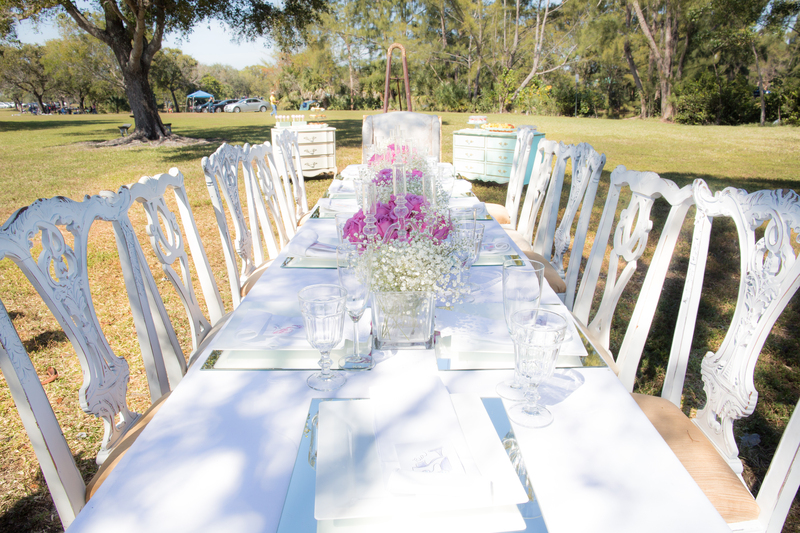 I was honored to have been invited by Kristin Clark to celebrate Living in Color Print blog’s 3 year anniversary. 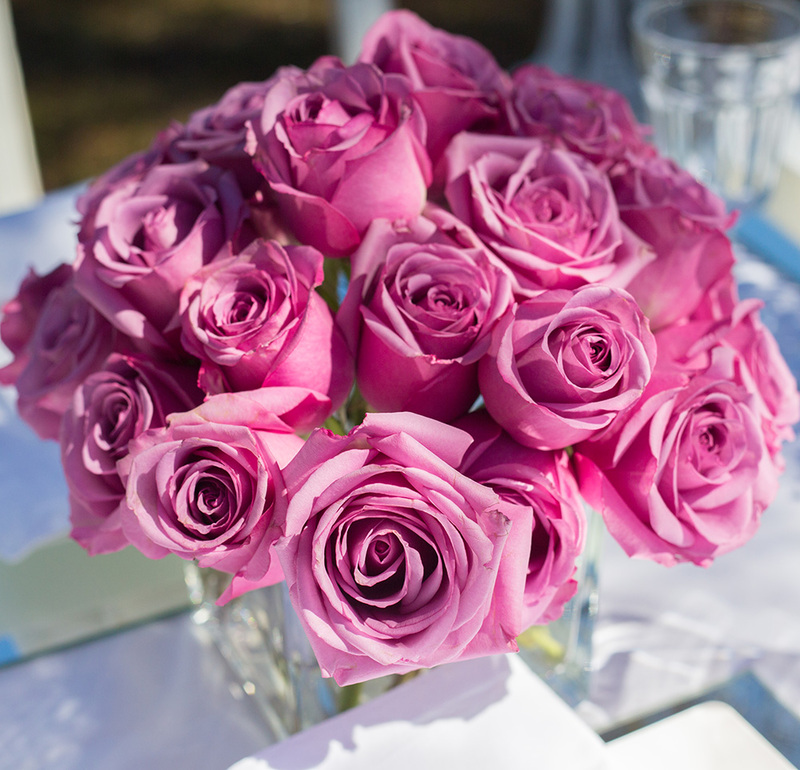 These beautiful purple roses were set all around, adding such a whimsical and vintage-chic touch. 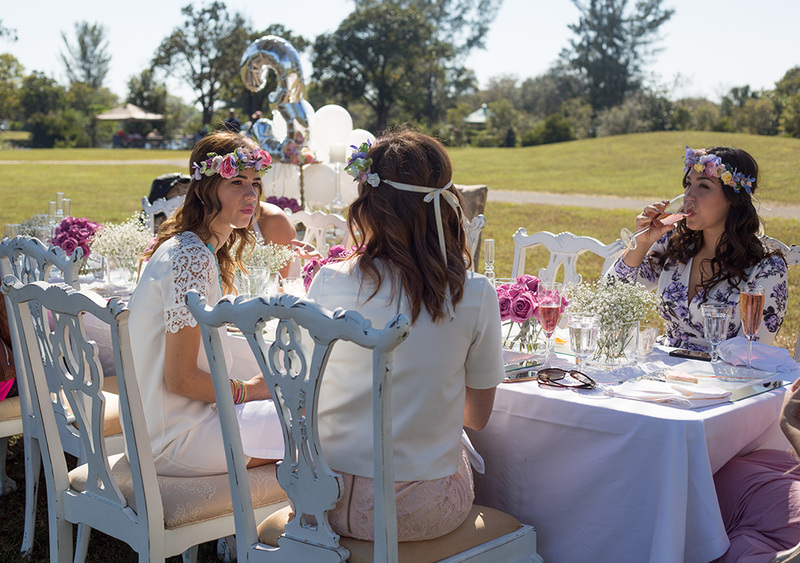 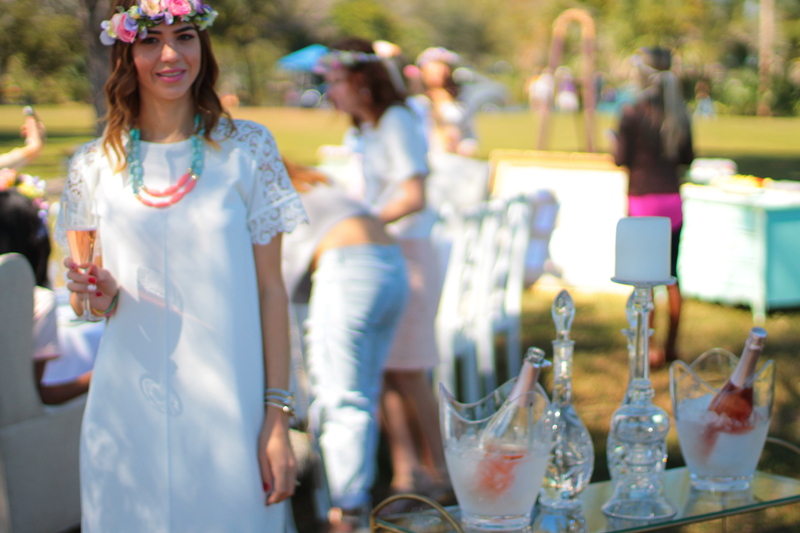 What’s a garden party without flower crowns?! 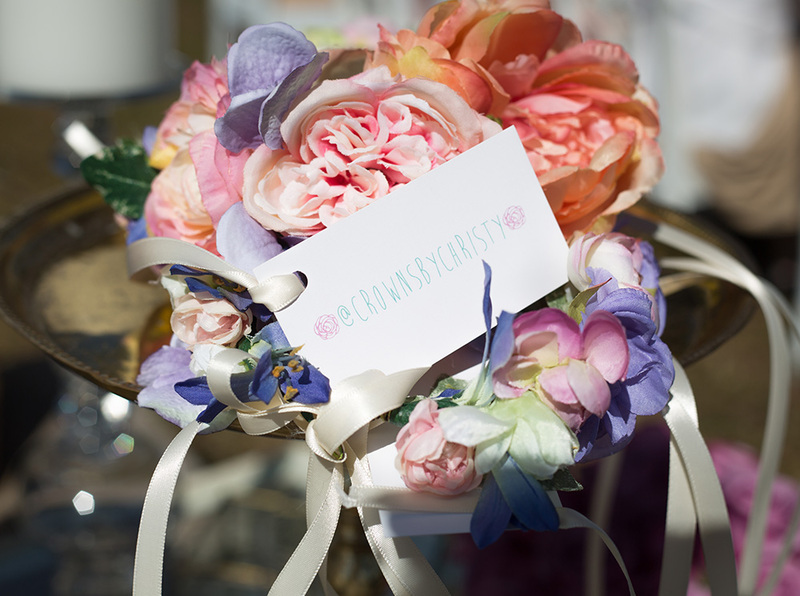 These were handmade and uniquely designed by @CrownsbyChristy for each lady to wear. 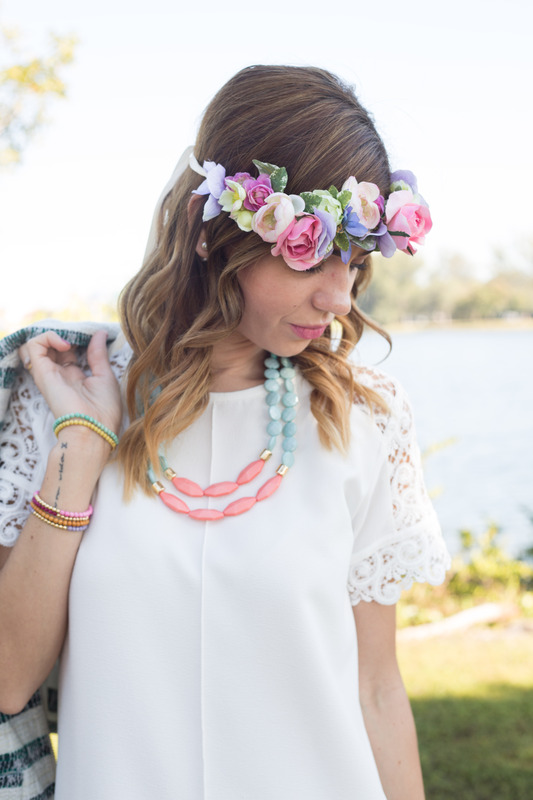 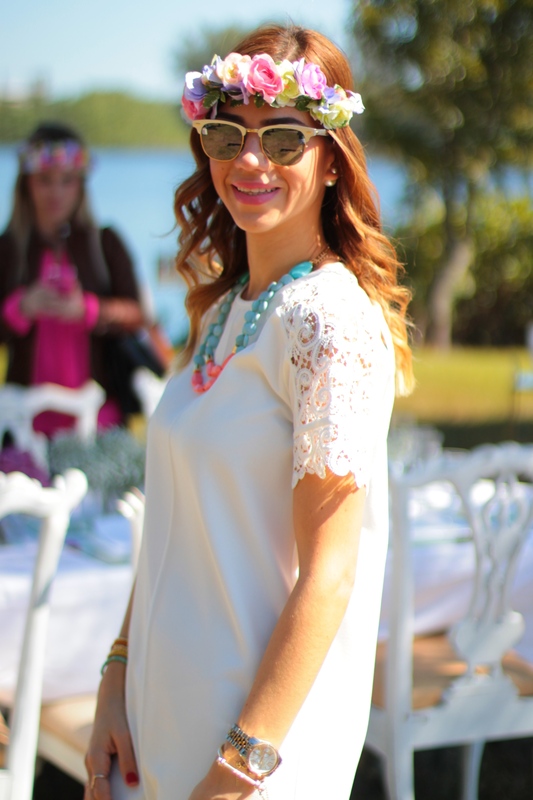 The sweetest and most beautiful party hostess- Kristin Clark from Living in Color Print blog! 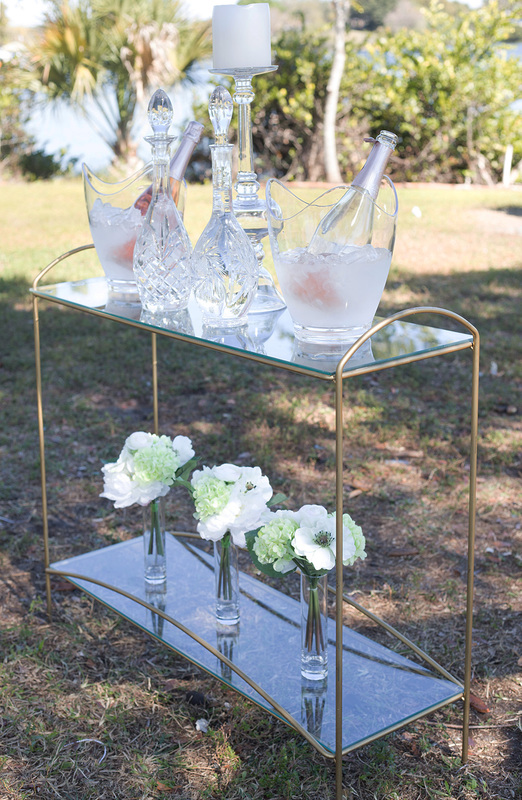 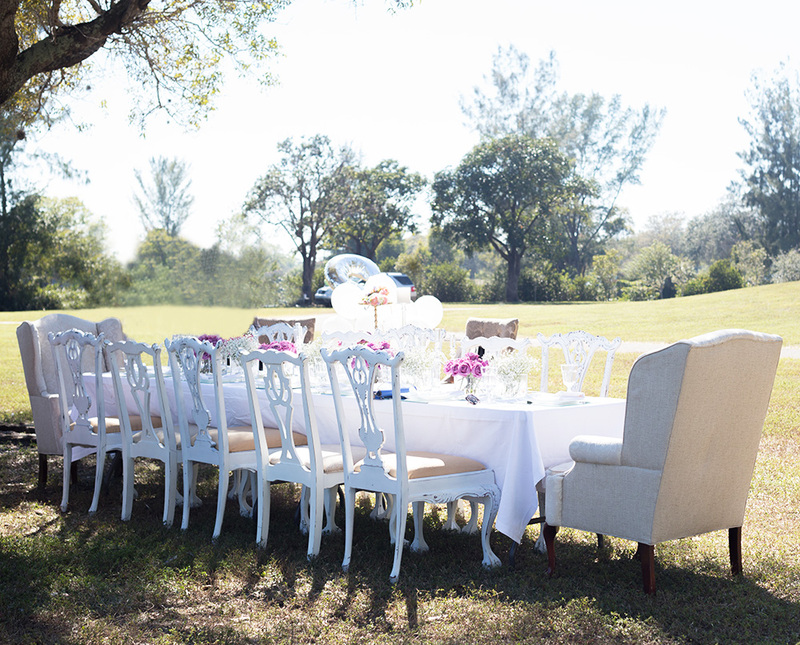 PS: Is anyone else getting inspiration from this set-up for an intimate spring bridal shower or baby shower?